Las Vegas was a Blast! 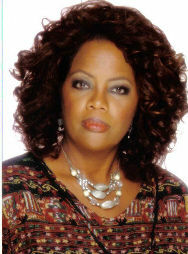 I am an Oprah Look A Like, Impersonator, Actress, Celebrity Look A like. I appear at Meet & Greets,Corporate Events,Private Parties. I can also Emcee your next party or event as well as walk the Red Carpet for TV and Film. What a blast is would be to have Oprah Double Take appear at your next school function or present your product or appear at a Charity Event. Do you need someone to get the crowd started or have a memory of a life time. Do you have special gifts you want to present. I welcome your clients into your event with a smile and that great big Oprah style hug and photo. Let's talk and make your event that special day to remember. Amazing job! Needed a Voice Over for a radio spot and she NAILED it. Thank you so much. Will be in touch for future projects. is a product that I truly believe in. We had ours for several years. My sister's sisters and I requested the services for our mom's 60th bday. She LOVES Oprah and this just made her day. I spoke with Oprah Double Take and she made sure to get all the details to make the event special. Thank you again to Oprah Double Take. She is awesome!!!!! Amazing Oprah give-a-way show for our event! Our organization planned an Oprah give-a-way show as a portion of our one-day conference. It was such a pleasure to work and plan with Oprah Double Take. She was very accommodating to our needs and requests and also had some wonderful suggestions for the show. Our attendees really enjoyed the event and felt very uplifted, encouraged and spoiled with the fun contests, prizes and give-a-ways! 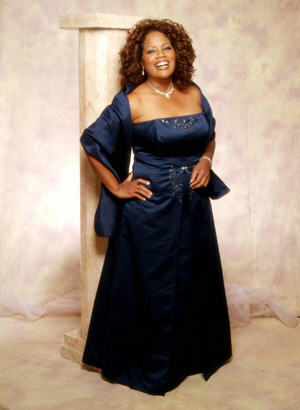 I highly recommend Oprah Double Take for your event whether social or corporate. Our client was well pleased. The Oprah Double Take was poised, interacted well with the attendees and took many pictures. Sent s sing-agram to a friend for her b-day and she done a great job! Definitely would have her do another for me!! Surprised my boyf with his favorite daytime star. Never thought I would be speechless too! She was perfect. Thanks carol. 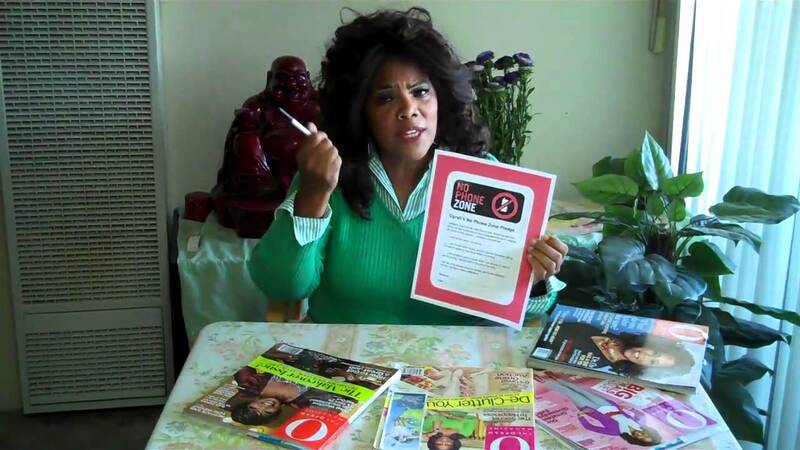 We hired Carol (Oprah) to be a part of a video production project and she blew us away! She was kind, professional, and best of all, a spot-on Oprah Look-Alike! Everyone absolutely loved her performance and she brought a wonderful energy to our video shoot! We'd highly recommend hiring her for any and every type of event. Thank you for the opportunity to be a part of your wonderful event. This was truly my Ahhh Moment. I unfortunately wasn't able to attend the event, I was only the planner; but I got rave reviews for "Oprah" and she was described as "amazing". She was great to plan with and she made the anniversary party so special and catered to the person we were celebrating. She took the time to learn what our employee was interested in so she could make the party extra special. I would highly recommend her and would love to have her at a future event! "Oprah" was absolutely delightful. She arrived on time with gifts for my sister who was completely shocked and loved the whole experience. Once my sister figured out what was going on she started throwing questions at "Oprah" like where's Gail? and the two of them went into a very funny improv together. We all thoroughly enjoyed the visit and singing telegram. HIGHLY RECOMMEND this lovely lady! The ultimate in professionalism and fun. The resemblance is remarkable and I can't say how professional she was about follow up and prep. Wish I had a reason to use her again! Carol "Oprah" Woodle was a superb entertainer for our department's party. She was professional, on time, friendly, and funny. Many invitees had to do a "double take" when she entered the room--she had the hair, the smile...everything. She embodied many aspects of Oprah's persona that so many people love...the charisma, the passion for friends and loved ones, and the voice. We would recommend Carol in a heartbeat! My experience booking, working with prior to the event, and during our event with Oprah Double Take was nothing short of PERFECT! Carol not only used the information I prepared for her but he also did her own research on my wife and was prepared to talk about her like she had known her for years. She posed with guests for photos for hours, she stayed in character for the entire 4 hours and generally kept the party going from beginning to end. Lastly, we had a couple come after the big surprise who did not realize we had hired an impersonator who upon seeing her "freaked out and said "OMG Oprah's here?!" I will use her again someday and recommend her highly! idea. The staff at The Regal Manor were a fantastic group to work with. You have an awesome family. I hope Jen and your guest will have an "Ahhhhh Moment" always to remember. Oprah Double Take is a true gem. She put the cherry on top of the sundae. Her look, talk and mannerisms were on point! Everyone was oooohing and ahhhhing then all smiles. She made the 90yr old birthday girl feel like a queen. Aside from the character portrayed, I am so happy that I have met her, a genuinly kind and thoughtful person. I would highly recommend Oprah Double Take!!!! 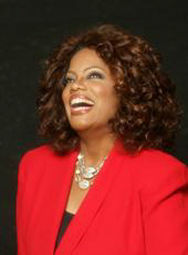 I have seen this Oprah Impersonator in person and she is the spitting image - visually and in personification! She is VERY good at what she does!!!! If you want Oprah - this lady is it!!! Every single performance I do shows how much Oprah is loved. Your guest will indeed question if this is the real one and only herself. appreciated. I can do mock TV shows, interviews, meeting groups and more and sing a song or two! came to an end allowing me to review my business options. At the request of a co-worker I sent my picture to Regis & Kelly. Within a few minutes I received a call from their office requesting another. Shortly afterward I was on my way to New York. I appeared on their show and the audience response of surprise rock the house. Since I am of African American Filipino heritage I was asked to be a guest on KTLA Kababayan LA-18 the Filipino Channel in Southern California along with my co-worker Dan Schnied aka Dr. Phil look alike. I have opened corporate events for their annual meetings, surprised that special Oprah fan, walked the Red Carpet, presented awards and gifts, assisted at local charities, photo opportunities, appeared in several magazines and meet and greets. I had the honor of being requested to appear at the Ahamson Theater during the promotion of the Color Purple. As Oprah ends here 25 years as a day time talk show host I continue to spread her joy and laughter. Let's make 2011 your Oprah year. required to purchase items. I would need to know this when project is reviewed. A full 1 hour show may require additional equipment i.e. video screen, stage all dependent upon skit. All tech matters are to be worked out at minim one week before show. Sound system is required if event is within a large area. Stage required if necessary as within most large events. Green room or area to freshen up before event. Oprah's 25 years have been a true inspiration to all. I have been given the opportunity to see how ones true compassion for others has span over time. How much Oprah is loved and how she gives back. Each show since has just gotten better and better.